Heroes, Heroines, and History: Shipwrecked On a Deserted Island? Pass the Soap! Shipwrecked On a Deserted Island? Pass the Soap! "With this Spark" Historical Romance Collection released last week and lit a spark on Amazon! Within 48 hours it was on the Hot New Releases for historical fiction. All of us in the collection were tickled to death that readers are loving this collection so much. I had a blast (literally!) writing Castaway with the Cowboy, my contribution to the collection. When an explosion sinks their steamship, horse wrangler Zach Holifield and nanny Abby Lindstrom find themselves stranded on a deserted island in the Caribbean. Along with Abby’s two charges, a cabin boy, and a couple of missionaries, Zach and Abby struggle for survival, normalcy, and a chance to live, to love, and to grow old together. My heroine talked about washing their clothes when they find water and the copy editor wanted to know where'd she'd get soap, since they'd barely escaped the sinking ship with their lives. What a wonderful question! And one that sent me on a quest to find out how many ways Abby could make soap on a deserted island in the Caribbean. I was surprised to find that making soap doesn’t require some magic ingredient or special containers. Making soap isn’t as difficult as you would think. All you need is animal fat/grease—or vegetable/plant oil, water and ashes. And women in the past would have learned at an early age how to save their ashes and leach them to get lye. The primary ingredient is the potash or pearl ash from ashes. Pure potash can be achieved by leaching wood ashes. To do this under primitive conditions, take a small container with a small hole or holes punched through the bottom. Place a one-inch layer of gravel or sand in the bottom of the container, and a one-inch layer of sand (aha, perfect for our characters stranded in the Caribbean!) on top of the gravel. The gravel and sand act as filters. Fill the container with ashes from a cooled campfire. Place another container under the first container to catch the runoff and slowly pour about a gallon of water over the ashes allowing a brownish-gray water (the lye) to exit through the bottom into the second container. Pour slowly. If the ashes start to “swim”, you are pouring the water too fast. During this process, if the lye coming out starts to lose its color, more ash can be added. Next, boil the lye water until more than half of the water has evaporated. The mixture may foam, and the resulting solution is potash. Next, add 1 ½ cup of lard, grease or animal fat to the boiling mixture and continue cooking for about 30 minutes. If using animal fat, make sure it is free from meat or food particles as the soap may spoil if during the drying process if the fat used isn’t pure. When the desired consistency is reached, place the mixture into molds. The shape doesn’t matter: a wooden mold carved from a tree limb, a small coconut shell, seashells, anything will do. Let the mixture dry for about two days, then remove from the mold. Once my characters managed to leach enough lye from their ashes, all they’d need to do would be to find enough animal fat or some type of oil to make their soap for washing and bathing. Goats, pigs, and sheep are sometimes found on islands, so that would be one source for animal fat. Coconut oil (with flakes of coconut) makes excellent soap, as does the oil from eucalyptus leaves, or any vegetable oil will do. And you can also make soap from goat’s milk. I’d venture to say that soap made from goat’s milk is softer than say, something made with lard, even on a deserted island. So I can see the women preferring to bath with this softer, gentler soap. Yep. You can. Just google “sea salt soap recipe”. Amazing. Abby—and the missionary’s wife stranded along with her—probably wouldn’t have cared about adding a lot of delicate scents to their soap or how harsh or brittle it was, but I imagine with the bounty of flora and fauna found on an island, they’d want to experiment, wouldn’t they? Can you think of scent they could add to their soap to give it a pleasing aroma? Something that would be found on an island in the Caribbean. Do you enjoy homemade soaps? If so, what’s your favorite scent? 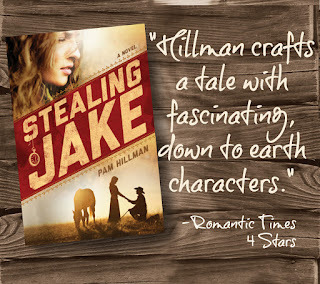 Stealing Jake - Available Online and at a Retailer Near You! Read the entire RT Review! Very interesting information. I think soap making is much easier now. Think I would dry some of the sweet scented flowers and infuse them into the oils to add a scent. Then add a litter of the dried flowers to the soap as well. Pam R, so glad you stopped by!! :) Pam is 1/2 of Pam & Megan's Shoppe. Isn't that soap adorable? Pam & I got to know each other recently at a series of local workshops for Women in Agriculture called Annie's Project. Pam, if you stop back by, can you tell us how infusing works? Is it something someone could have done over an open fire 100 years ago? I believe it could be done. If you were to put the oil in a container with the dried flowers and place them on the outer edge of the fire to keep them warm but not hot for a few hours. If the oil got too hot it would fry the flowers. The strain the flowers before using. The same principle could be used with herbs to create healing salves. I love coconut so I have to say that would be my choice! Pam, very interesting about soap making. I too would add some kind of sent like from flowers. I enjoy a light scent, Tina. The Sweet Cotton up above smells nice, not overpowering, but clean and fresh. I thought it was perfectly named as well. I bought it at the Soule Steamworks Shop in Meridian, MS. It smells so nice. Mary, this is just fascinating. WHO KNEW? Well, you did...LOL Looks like another wonderful story--I will definitely be picking up this collection! Sorry, PAM--NOT MARY! LOL This is really fascinating. My dad used to make lye soap and my mother would just roll her eyes and refuse to use it in the house. LOL (Of course, it was NOT scented and was really really rough.) These look like some great stories. I'm looking forward to getting to read them all--but this soap making thing just grabs me. Looks like a great story, Pam! Ah, Cheryl, no need to apologize. I don't mind being confused with Mary any day! :) Did you dad sell his lye soap? 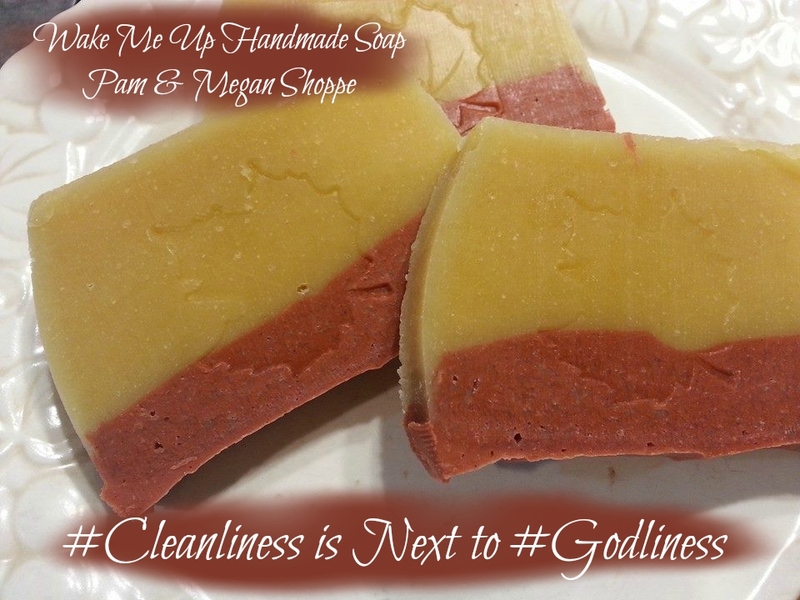 It almost seems like a God thing that you can make soap from ashes and animal fat. Kind of like using animal poop for fertilizer. It's all a bit mind boggling. I wonder how people first figured out how to make soap. I really need to get the collection. I love how your editor's question enriched your knowledge and your story. so cool. Ohh, crepe myrtles. That would smell SO nice! Love how true you are to historical detail. And maybe it's because I'm hungry but I think pineapple soap would be a refreshing scent. LOL But coconut is good too...and it supposed to be really moisturizing as well. Just bought this novella collection, Pam. Can't wait to read it! Okay, well, I'm afraid I'd be tempted to eat the pineapple soap, Kav, so I'm not sure that's a good idea at the moment. Kinda like those apple pie scented candles. And worse is the sugar cookie ones. Oh my! Heidi, I knew about the ashes too, but didn't know about "leaching" them to get the lye out. Modern-day homemade soap makers probably use pre-packaged lye. In my research, I ran across some they can buy. Also, I gave the most basic instructions for making soap that I could come up with. I didn't want to bog the post with too much detail. And while making soap is doable, I'm going to guess that it's hard work. My brother has made liquid laundry detergent and it sounds pretty time consuming to me. I'd probably fry my brain on the fumes ... what little I've got left! Interesting post, Pam - who knew, lol?? Thank you!! Kav and I think along the same lines - pineapple soap (or any other fruit or scented tree indigenous to the island one might be stranded on). Can we just skip the soap and make a pineapple upside-down cake instead? Now that's something I can manage! lol Thanks for stopping by and commenting. Sharon, so glad you stopped by! I've been blessed to be included in several different collections this year as well as having Stealing Jake release in print in August. It's already shipping from Amazon, which is so exciting! And...if you're on Goodreads, I'm hosting a giveaway with 2 copies. I forgot to include the widget in today's post, but you can easily find it on Goodreads and enter the giveaway. Blessings! Marvelous post, Pam. I remember making soap with my grandmother. Normally, she didn't use scents. Once, as a special request from my great-grandmother, she used a small bottle of store-bought perfume. Kids weren't allowed to wash-up with those bars, just Great Grandma Luler.